The HDPV� Alliance brings solar industry equipment manufacturers and solution providers together around a common vision for the development and adoption of lower cost and higher performance PV systems. With a background in transforming start-ups into nine figure businesses, Levent Gun understands the vast opportunity open to innovative companies in the fast-growing global PV solar market. Levent is the CEO of Ampt LLC, a leading technology company that makes DC power optimizers used in utility-scale PV solar plants to lower total system cost while increasing performance. Ampt is also a founding member of the HDPV Alliance which is an industry initiative to lower the cost of PV energy based on open standards for designing and deploying systems using DC Optimizers with a new class of optimized inverters. Levent recently traveled to Istanbul, Turkey to attend the Solarex Expo and to moderate a panel at the Solarpraxis conference about the future of inverter technology in PV power plants and how Ampt and its HDPV partners are providing superior and lower cost solutions. He was joined by fellow HDPV Alliance members Bonfiglioli, KACO new energy, and LTi REEnergy. AltEnergyMag interviewed Levent following his return from Istanbul to hear more about Ampt and HDPV, and to get his perspective on the solar market in Turkey and beyond. Please tell us a bit about yourself and Ampt. Prior to joining Ampt as CEO, I was president and CEO of Kleer, a wireless audio semiconductor company that was acquired by SMSC. Previously, I co-founded and led US Robotics’ Cable Data Business and transformed this fledgling start-up into a $100 million business after 3COM’s acquisition of US Robotics. I’ve also held executive and leadership positions with Motorola and IBM. I have a Ph.D. in Electrical Engineering from the University of Maryland and undergraduate degrees in engineering and mathematics from Bogazici University in Turkey. Ampt makes DC power optimizers used in utility-scale PV solar plants to lower total system cost and increase energy production. Ampt has partnered with some of the leading players in the solar industry through the HDPV Alliance. What is Distributed Power Optimization, and what are some of its advantages over traditional PV system designs that do not use Ampt DC Optimizers? A distributed power optimization, or DPO architecture uses Ampt DC Optimizers along with central inverters to decrease system costs by lowering the inverter cost per watt as well as electrical DC BOS costs. These cost reductions more than offset the addition of DC optimizers. Inverter costs are reduced because Ampt DC Optimizers put MPP tracking as well as patented voltage and current limits on each string of PV modules. This allows the inverters to operate in Ampt Mode™ with a higher and narrower input voltage range. This optimized input range makes it possible for the inverter to deliver up to twice as much power from the same hardware. Doubling the output power is equivalent to cutting the inverter cost in half. Commercially available inverters have achieved up to 60% output power improvements. Electrical BOS costs are lower because the voltage and current limits on each string allow for longer strings. This reduces the number of strings and combiner boxes as well as the associated labor costs. The limits also eliminate the over-sun multiplier when determining conductor ampacity so wire sizes are smaller as well. DPO systems also produce more power because Ampt DC Optimizers distribute MPP tracking throughout the array. 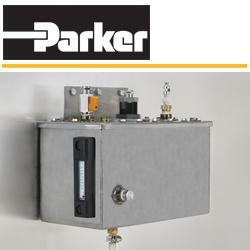 This higher resolution MPPT increases energy production. The cost and performance advantages of DPO increase PV plant owner’s return on investment. What is the High Definition PV (HDPV) Alliance and what are its goals? The HDPV™ Alliance brings solar industry equipment manufacturers and solution providers together around a common vision for the development and adoption of lower cost and higher performance PV systems. The Alliance was founded by a group of PV inverter companies that partnered with Ampt to deliver products incorporating Ampt Mode™ technology. Together the alliance is committed to building and marketing products designed to deliver a lower cost of energy using Distributed Power Optimization (DPO). The Alliance provides member companies with access to open standards for DPO systems. We also collaborate to ensure interoperable product roadmaps, and to market the HDPV brand to make it easy for the industry to identify and source products with the HDPV advantage of lower cost and higher performance. You recently attended the Solarex Expo in Istanbul, Turkey. What are some of your impressions from this year’s show? Solarex exhibition was held in Istanbul. It was well attended with several hundred major global players in PV exhibited products. There was clearly a sense of enthusiasm for the opportunity for solar in Turkey. While the installed base of PV is virtually zero as of the beginning of this year, the permitting process for unlicensed (up to 1 MW systems) has started early this year and seems to be accelerating. In addition, the Turkish government will start announcing winners for the 600MW of licenses this month (May 2014). As in many new PV markets, I expect Turkey to go through a learning curve. However, I think the Turkish PV market will go through this learning curve relatively quickly thanks to many experienced system integrators from outside of Turkey bringing their know-how into the market. I think the relationships already forming will span beyond Turkey into the broader region. I am already seeing that happen with Ampt. In my discussions with various project developers and financiers I found it particularly interesting that the payback time for initial investments could be as low as 5 to 7 years, considering that the kWhr generated per kW of PV installed in most of Turkey is as much as twice that of Germany or the United Kingdom. Considering Turkey is larger in size than these two countries combined, it is easy to understand the solar potential. Perhaps the most exciting realization for me when Ampt did its own calculations for PV systems using DPO is that these attractive project economics are self-sustaining. In other words, the IRR for a system using DPO is compelling even without relying on the existing feed-in-tariffs (FIT). This is important, since the government has no caps on the amount of PV that businesses can install for self-consumption. In fact, despite the highly publicized licensed and unlicensed applications that can take advantage of the 10 year FIT, I expect the self-consumption segment to grow the fastest in the short term. This is part of the reason that Ampt and our inverter partners have worked together on a turnkey 5 MW solution using central inverters with a DPO architecture, even though deployments to date have been limited to 1 MW for the unlicensed market segment. Ampt partners Bonfiglioli and LTi REEnergy were featured speakers at the Solarpraxis conference in Turkey which preceded Solarex. Can you discuss your partnership with those companies and KACO new energy through the HDPV Alliance? I was invited to Solarpraxis to moderate a debate between SMA, Bonfiglioli, and LTi REEnergy about the future of inverter technology in PV power plants. These companies were featured because they are recognized for their expertise and leadership in the industry. Bonfiglioli and LTi REEnergy also highlighted their DPO solution using Ampt power optimizers as a way to lower system costs while improving performance to significantly lower the return on investment as I mentioned above. This is an excellent illustration of the HDPV Alliance in action. Bonfiglioli and LTi REEnergy have adopted HDPV’s open inverter standard ensuring that their products work with Ampt DC Optimizers, and they each created unique DPO offerings for the Turkish market. The innovative solutions of both companies will have a clear advantage over other inverter suppliers. With KACO new energy, our cooperation in Turkey is similar to that in US. When Ampt Optimizers are combined with the larger 3-phase KACO string inverters, we can provide a superior and lower cost solution especially for rooftops where more granular MPPT per kW is needed, such as in many multi-surface industrial parks in Turkey. Within the Turkish market and elsewhere, what capabilities and value do solutions from these partnerships bring? Around the globe, PV plant developers are searching for ways to lower the capital cost of systems while increasing performance. They are choosing better technology, optimizing system designs, and streamlining operations. Through our HDPV partnerships, Ampt helps companies do just that. By deploying Ampt’s DC Optimizers with LTi REEnergy and Bonfiglioli central inverters, PV systems cost less. Working together, we lower the cost per watt of inverters, cut in half the number of DC combiner boxes and associated cabling, and make it possible for engineers to standardize system designs so that blocks of PV can be repeated from plant to plant to decrease the overhead and complication of customizing every system. In Turkey, for example, LTi REEnergy and Bonfiglioli have designed standardized 2.5 and 5 MW block designs that are tailored to that market’s localization requirements. In particular, a developer serving the Turkish market under the government’s licensed system program can specify a 2.5 or 5 MW block design that includes Ampt DC optimizers with either LTi REEnergy or Bonfiglioli inverters at a much lower cost than other solutions available in the market, while generating more energy. These DPO systems are much lower cost than those using string inverters, which are often favored in markets where the value of energy is so high under the FIT payments, and they perform better. On top of that, our partners’ local manufacturing and sales and support capabilities mean that system owners qualify to receive the bonus FIT payments for using inverters manufactured in Turkey, and they receive the highest level of service. Taken all together, these partnerships enable our companies to deliver a combined solution in Turkey that is lower cost and generates more energy for higher returns. This is true in markets outside Turkey as well. What is the opportunity and outlook for the Turkish solar PV market? With the government’s stated goal to have as much as 30% of its energy come from renewables in the future, and policies that encourage investment in solar, the outlook for the Turkish market appears quite strong. Investors are attracted to the cash flow supported by the feed-in-tariff. Manufacturers are investing in local production capabilities so that their equipment qualifies for the bonus FIT payments. And, because the Turkish government has structured PV incentives to encourage investment in utility-scale systems, experienced global players are entering the market which is sure to accelerate growth. Of course, there will be challenges to overcome. One adjustment that the government may consider is to extend the FIT payments to 20 years, rather than the 10 year guarantee under existing plans. From an ROI perspective, the currently planned 10 year FIT is certainly very attractive. However, many investors prefer to have the lower risk profile and more flexible financing models that a 20 year FIT provides, even though the FIT is already close to the cost of electricity. What do you see as the primary drivers and speed bumps in the road ahead for the global PV industry? The PV industry is under tremendous pressure to drive down system costs. Over the last several years, we have seen PV module prices fall dramatically, so attention has turned to the balance-of system (BOS) components. In particular, focus is on electrical BOS components such as the inverter, combiners and cabling. Reducing the cost of these components is not easy – but for different reasons. In the case of combiners and cabling, these components are already largely commoditized; they do not contain a significant amount of technology and mainly just transport energy from the point of generation (the PV module) to the inverter. Their cost is largely that of the underlying raw material, so the cost reduction curve on these parts is quite flat. In contrast, inverters contain quite sophisticated technology and have the critical mission of interacting with the grid. Reducing inverter costs requires investment in both operational efficiencies and technology innovation. It is this perspective that drives Ampt. Our DC optimizers enable inverter manufactures to get up to twice the power out of their inverters when deployed in combination with our products. At the same time, we remove 50% of the electrical components. We believe innovation is required to meet the cost reduction goals the PV industry, and to broaden the market for solar. We work closely with our industry partners and customers to achieve the lowest cost of energy. Levent Gun has more than 25 years of technology experience having worked in technical and senior executive-level positions while establishing a track record of successful leadership at both start-ups and mature companies. 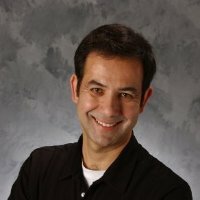 Prior to joining Ampt as CEO, Levent was president and CEO of Kleer, a wireless audio semiconductor company that was acquired by SMSC. Levent joined Kleer in conjunction with the Company’s Series A funding led by US Venture Partners (USVP) while he was an Entrepreneur in Residence (EIR) helping them identify and evaluate portfolio investments in the communications area. Prior to USVP, Levent was president and CEO of Iospan Wireless, a pioneer in MIMO technology, which was acquired by Intel Corporation. Previously, Levent co-founded and led US Robotics’ Cable Data Business and transformed this fledgling start-up into a $100 million business after 3COM’s acquisition of US Robotics. Earlier in his career, Levent held various engineering management and leadership positions at Motorola and IBM, as well as research positions at several universities and labs. Levent holds a Ph.D. in Electrical Engineering from the University of Maryland and undergraduate degrees in engineering and mathematics from Bogazici University in Turkey. He has published extensively in technical journals and holds 14 patents. An accomplished speaker, Levent is often invited to speak at industry events as well as present papers.